The heartbroken family of a man who has been missing for almost four years can finally say their goodbyes with a funeral service. Human remains found in a disused railway tunnel have been tragically identified as 37-year-old Stephen Keogh - read original story here. Stephen disappeared from his Netherfield home in May 2015. His family clung onto the hope that he was alive, and put out heartfelt appeals for him to get in touch. Family and friends continued to send him birthday messages on Facebook each year in the hope that he would see them. 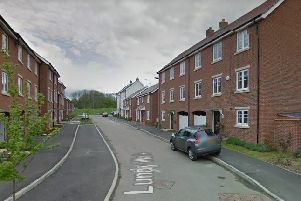 Three weeks ago police were called to woodland near Bletchley’s Granby Court flats after a member of the public found “human remains” in an old 250 metre long tunnel. The remains, in the form of a skull, were analysed by experts while a team of specialist officers carried out a search of the area, which is just a mile and a half from Stephen’s home. DNA tests proved the identity, while pathologists established the cause of death was unexplained but not suspicious. A friend of the family said: “It is the news everybody has been dreading and it is horrible ending after four years of worry.